Professor Neil Garg received a B.S. in Chemistry from New York University where he did undergraduate research. During his undergraduate years, he spent several months in Strasbourg, France while conducting research at Université Louis Pasteur as an NSF REU Fellow. Garg obtained his Ph.D. in 2005 from the California Institute of Technology. He then went to UC Irvine as an NIH Postdoctoral Scholar. 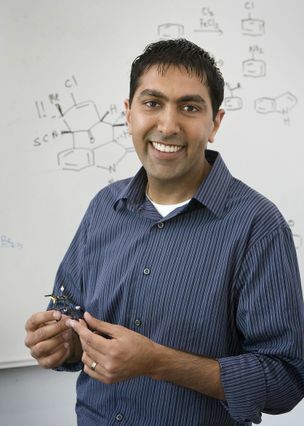 Garg joined the faculty at UCLA in 2007. He currently serves as Faculty-in-Residence in the UCLA undergraduate community.